Sleep Number P-5 VS. I-8 - Which Mattress Is Right For You? Home » Sleep Number P-5 VS. I-8 – Which Mattress Is Right For You? Sleep Number P-5 VS. I-8 – Which Mattress Is Right For You? Sleep Number’s popular P-5 model and their luxurious I-8 model both have a lot to offer customers. 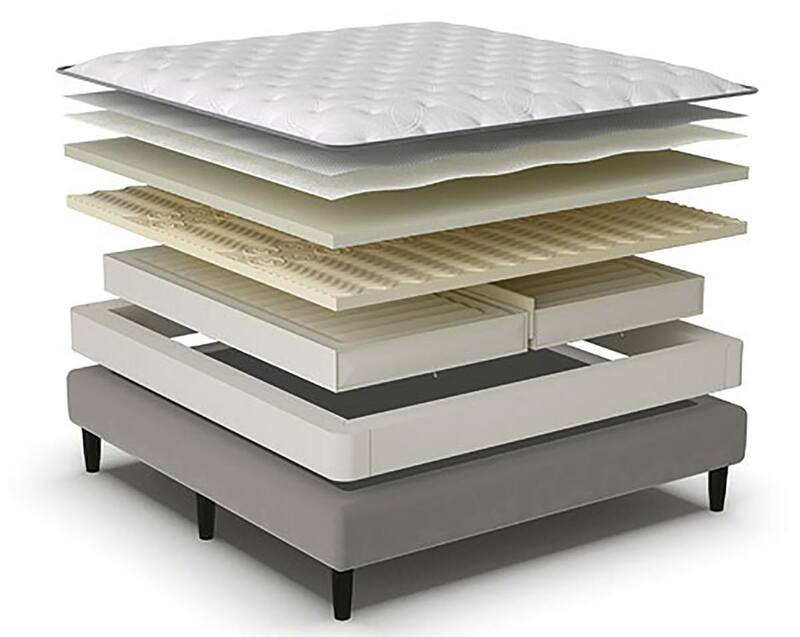 The P-5 could be the perfect balance of firmness and cushion and the I-8 may be just the bed to keep you cool and comfortable all night long. So, which one is the best mattress for you? Check out our handy guide as we go over the details of each mattress and help you decide if one is right for you. After speaking with Sleep Number Customer Service representatives, I learned about a few extra details that may help you decide between a P-5 or an I-8 mattress. 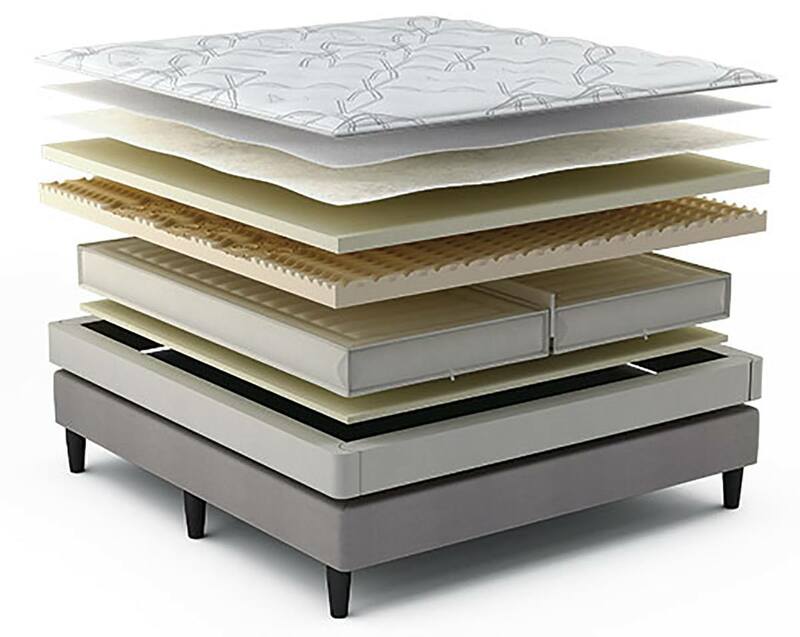 Mattress Top: Both the P-5 and the I-8 mattresses are pillowtops. They also both have 2” of hypersoft quilting foam sewn into the mattress top. The biggest difference between the two is that the I-8 has temperature balancing fabric (Outlast Technology) woven into the mattress surface to help keep you cool. Popularity: The P-5 model is Sleep Number’s most popular bed. The salesperson I spoke to at a Sleep Number store said it had a good balance between cushion and natural firmness from the air chambers. You Like a Balance of Firmness and Cushion. Almost every single Customer Service representative I talked to made sure to tell me that the P-5 model was the most popular and bestselling mattress. When I asked why, they frequently told me people liked the European style pillowtop design and the 2” layer of their proprietary PlushFit foam, which is designed to provide the perfect balance of support and pressure relief. You Are On A Budget. There is a $1,400 price difference between Queen size P-5 and I-8 mattresses. Going with the P-5 means you lose out on the built-in cooling technology and some extra cushion, but it does free up cash to consider accessories like Sleep IQ Technology or the FlexFit Adjustable Base. You Want Full Body Pressure Relief. The 3” comfort foam in the I-8 is designed to relieve pressure in 7 areas of the body and the P-5, and its sister model the P-6, is designed to relieve pressure in only 5 areas. The I-8 adds body contouring to the knees and lower legs and the P-5 does not. You Are A Hot Sleeper. The I-8 features Outlast technology, designed to pull moisture away from you at night and redistribute it throughout the night, in the surface of the mattress. With a $1,400 price difference between a Queen size P-5 mattress and a Queen size I-8 mattress, my preference (and my wallet) would be to favor the P-5 model. 2 additional zones of body contouring in the comfort foam layer – to relieve pressure on your knees and lower legs – for a total of 7 layers. Overall, you are losing out on cooling technology and a thicker layer of comfort foam with some additional pressure relief points. There are plenty of mattress toppers, pads, and protectors on the market that helps keep you cool at night. With that in mind, and knowing the popularity of the P-5, I feel inclined to choose that model over the I-8. With the money I save, I could upgrade my bed to add a FlexFit Adjustable Base and get even more out of my Sleep Number bed.